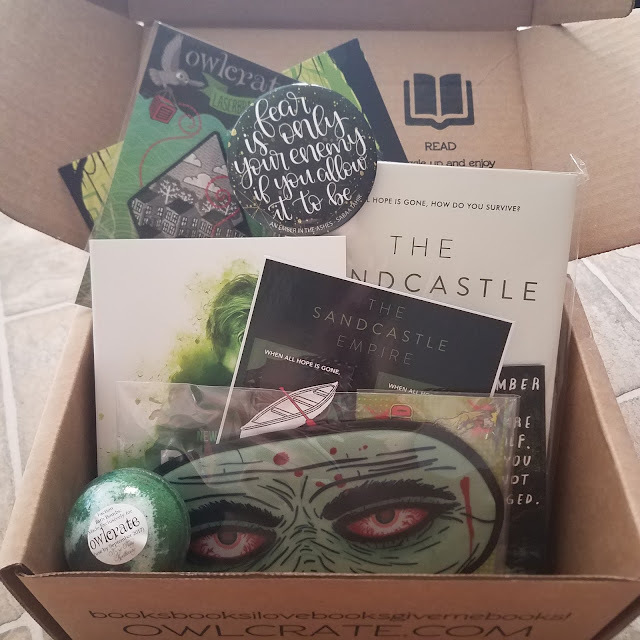 I am excited to start getting Owlcrate again. It was one of my favorite book subscription boxes. This month's theme is 'Make It Out Alive' which I think is a bit more suitable for October than it is for June, but I kind of like the unconventional aspect of it. This month's box was filled so much stuff that I really liked and I can't wait to used. 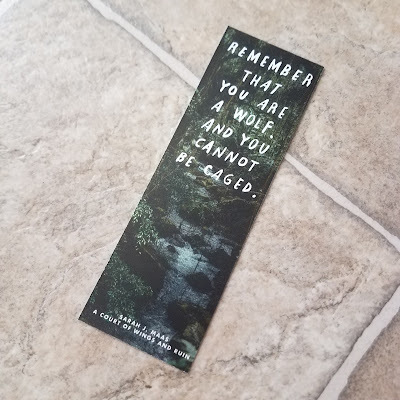 This Double sided bookmark with quotes from A court of Thorns and Roses designed by Hey Atlas Creative is really pretty and I always love getting bookmarks as I like to collect them. I still have yet to read this series, I may one day. Not only do I collect bookmarks but I also collect magnets, and this one by Little Inklings Design inspired by another book series that I have yet to read, An Ember in the Ashes, is a perfect addition to my collection. 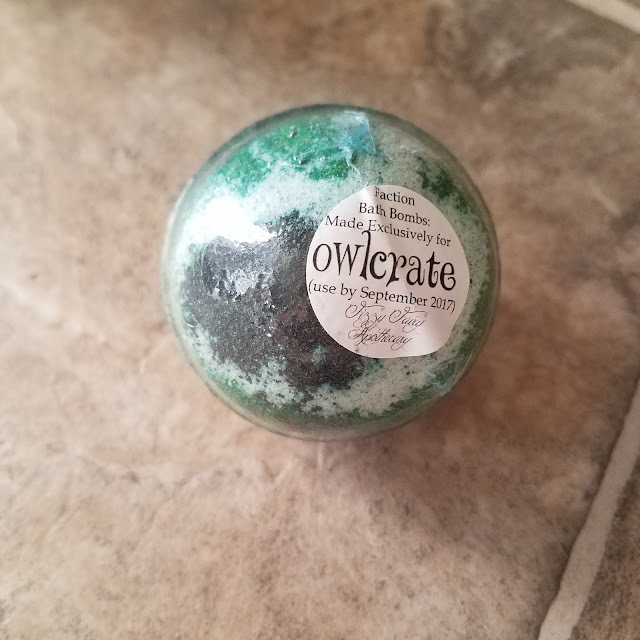 This Bathbomb by Fizzy Fairy Apothecary is so great. 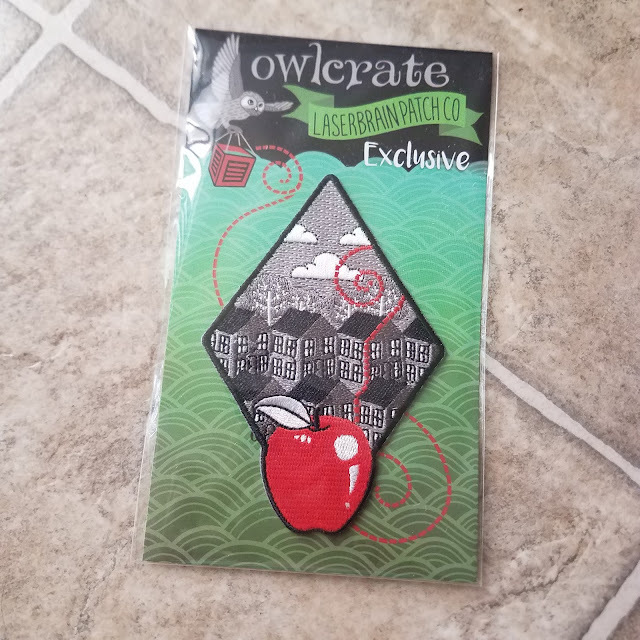 It is a Owlcrate exclusive, based off of divergent series. Once the bathbomb has fizzled out you find out what faction your apart of. Once again another book series that I have not read (and most likely will never read) but I am excited to use it. 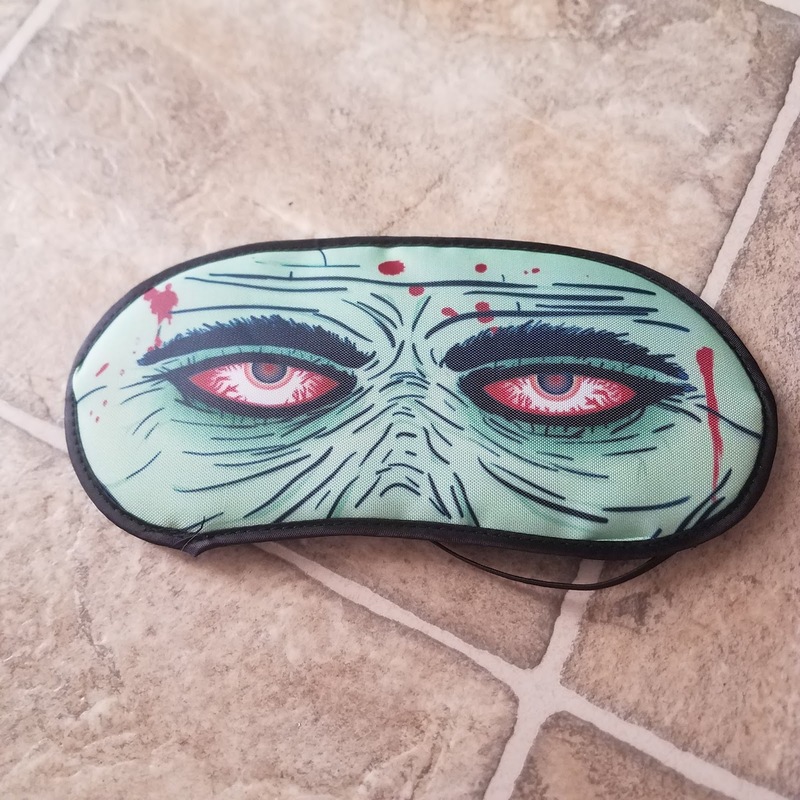 I have trouble sleeping so I use sleep masks and I'll definitely be using this by Archie McPhee. This patch based off the book The Giver (I book I actually have read) by Laserbrain Patch Co is amazing even though I don't use patches. This is another Owlcrate Exclusive. There seems to be a lot of those in this box. 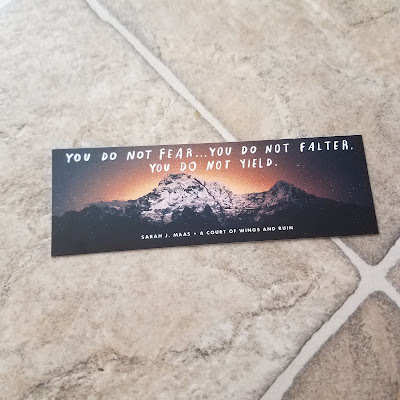 This is one of two books that I received from this months box. 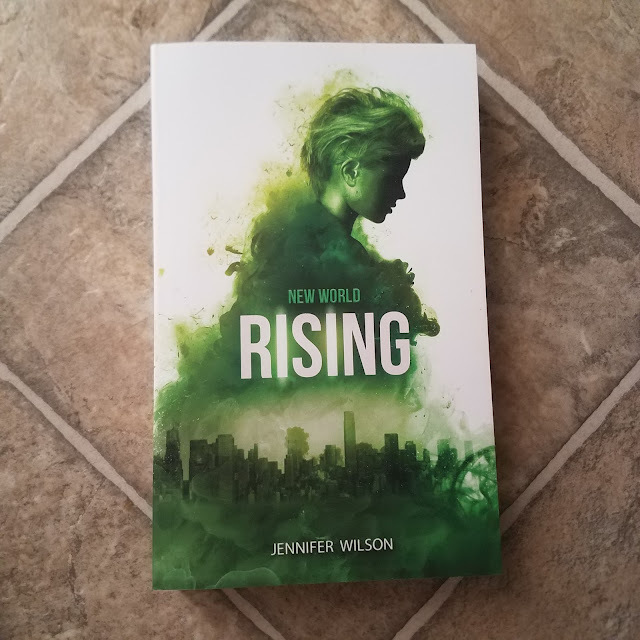 New World Rising by Jennifer Wilson is a book I've heard of but that I did not know if I wanted to read, but I guess this answered my doubt. I will be reading this as soon as I get time. 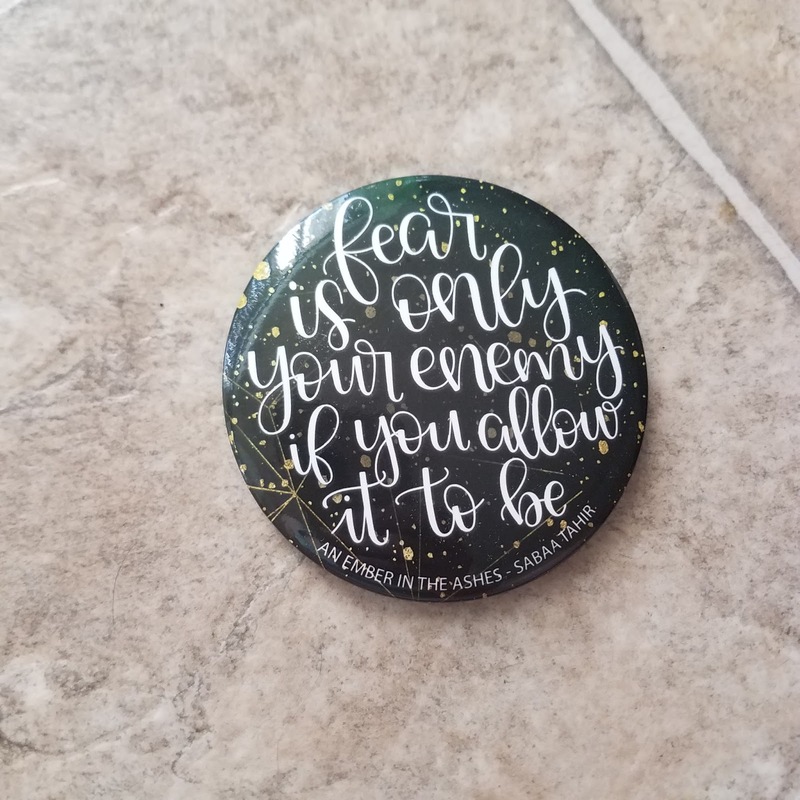 I have so many books on my TBR List but June has suddenly become such a busy month that I just had zero time to devote to reading. Another Exclusive this time it's a cover which greatly excites me. 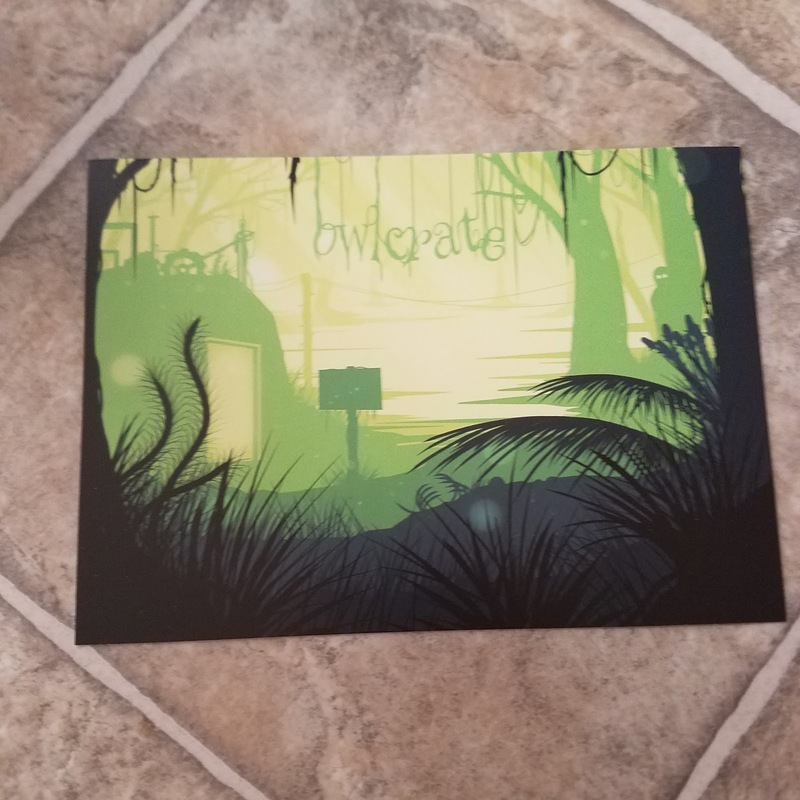 I love getting limited edition bookstuffs. 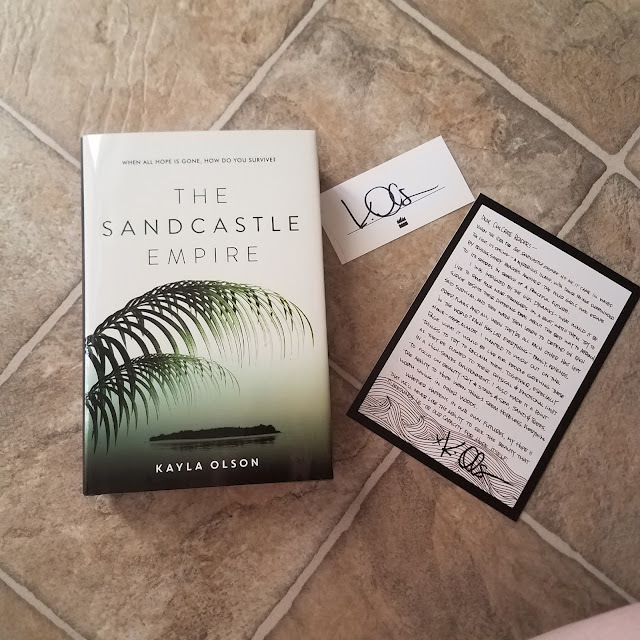 The Sandcastle Empire by Kayla Olson sounds great and I can't wait to read it. with a signed bookplate and letter from Olson herself, this is one of the reasons I love Owlcrate.